Sat., Sept. 1 Services 8:00 p.m. 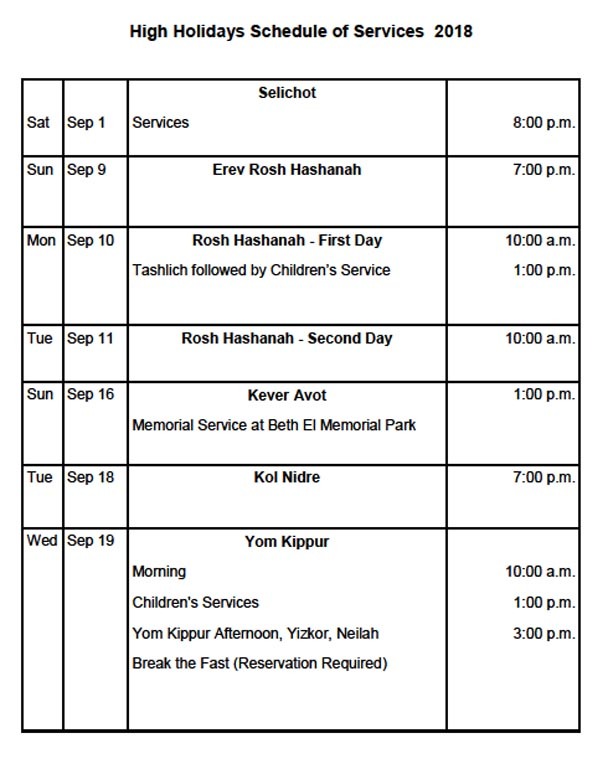 Sun., Sept. 9 Erev Rosh Hashanah 7:00 p.m.
Tashlich followed by Children’s Service 10:00 a.m.
Tues., Sept. 11 Rosh Hashanah—Second Day 10:00 a.m.
Memorial Service at Beth El Memorial Park 1:00 p.m.
Tues., Sept. 18 Kol Nidre 7:00 p.m. Break the Fast (Reservation Required) 10:00 a.m. Break the Fast (Reservations Required)—See flyer below for information. Services will be conducted by our Rabbi/Cantor Bruce Benson and enhanced by a professional choir throughout the holidays. 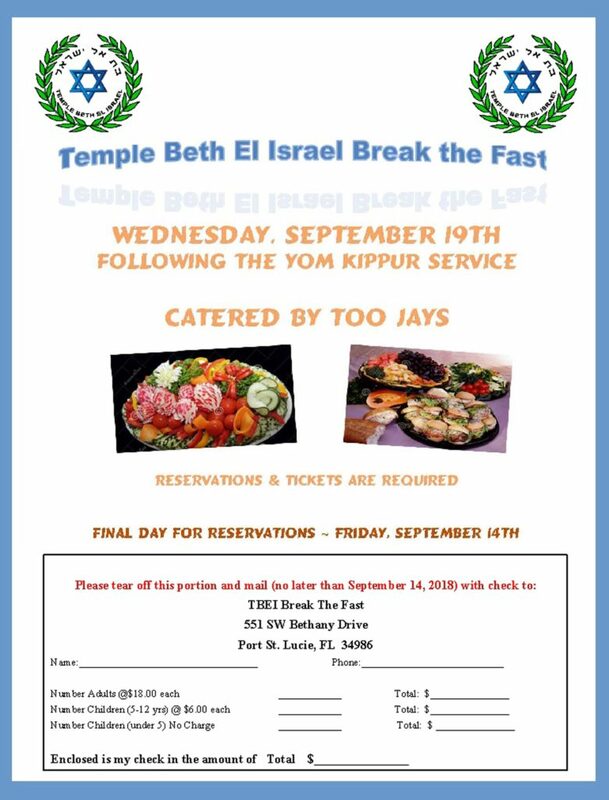 For additional information, please contact the Temple Beth El Israel business office at 772-336-2424, Monday through Friday, 10:00 a.m. to 4:00 p.m.
Click here for printable version of Break-the-Fast flyer. Click here for everything you need to get ready for Rosh HaShanah. Click here for information about Yom Kippur—Day of Atonement.